Georgia Southern University medical laboratory science student Lauren Frank recently edged ahead of student hopefuls from around the country to earn a six-month medical laboratory assistant clinical rotation at Mayo Clinic in Jacksonville, Florida. U.S. News & World Report ranked the Mayo Clinic as the No. 1 hospital overall and No. 1 in more specialties than any other hospital in the nation in its 2018-2019 rankings of top hospitals. For Frank, who chose the Armstrong Campus for its beauty and renowned health professions program, landing a clinical rotation spot at Mayo Clinic was more than an accomplishment; it was the realization of a childhood dream. Diagnosed with a rare type of cancer at age five, Nashville, Tennessee, native Frank said her experiences in the hospital encouraged her pursuit of a degree in the medical field so that she could help others in the same way she was helped. 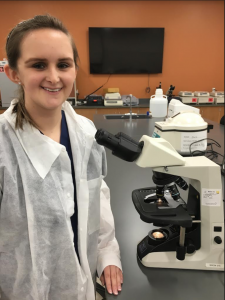 “I chose medical laboratory sciences so that I could aid in the diagnosis and treatment of those who are suffering from life-threatening illnesses,” she said. Upon completion of the clinical rotation, Frank will graduate in December and hopes to attend medical school to become a pediatric oncologist. The Medical Laboratory Science program at Georgia Southern, housed within the Waters College of Health Professions, is the largest in the state. Medical laboratory scientists are trained to provide essential clinical information to healthcare providers and are responsible for assuring reliable results that contribute to the prevention, diagnosis, prognosis and treatment of physiological and pathological conditions. With three top-ranked campuses in Jacksonville, Florida; Phoenix, Arizona; and Rochester, Minnesota, Mayo Clinic’s specialized experts treat rare and complex conditions for more than one million patients a year. Merveille Grant (’16) was nominated for the Frist Humanitarian Award by her co-workers at HCA Coliseum Medical Center in Macon, Georgia. Individuals who are nominated for the award are said to go above and beyond their routine job responsibilities and give completely of themselves within the hospital as well as their local community. Grant, a medical technologist, spends her days at HCA collecting and processing specimens in the hospital’s lab, and packaging those specimens that require to be sent out for further testing. “My favorite part of what I do is knowing that I play a small role in getting to the root of an individual’s illness. Patients are some of the most vulnerable people that come through the hospital and being a part of the bigger picture to help them improve their well-being is the best part of my job,” stated Grant. In addition to her career, Grant volunteers with the American Red Cross helping with blood drives and disaster services, plus she sits on the Employee Engagement Board at HCA. 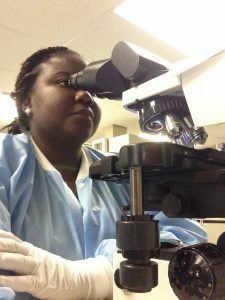 While attending Georgia Southern University Armstrong Campus, formerly Armstrong State University, Grant enjoyed classes in clinical microbiology and blood bank and credits the well-rounded lectures and clinical rotation she completed for preparing her to be successful in her career. Through the grant, Linnaeus University Strategic Grant for Teacher Mobility, awarded to Maria Mattson, senior lecturer of the Department of Chemistry and Biomedical Sciences at Linnaeus University, Amy Chall, MLS(ASCP), lecturer in the Department of Diagnostic and Therapeutic Sciences, had the opportunity to visit Kalmar, Sweden, to serve as guest lecturer. In addition to discussing blood diseases and her current research, Chall gave a presentation on Georgia Southern University and the Medical Laboratory Science program that is currently offered on Georgia Southern University Armstrong Campus. While in Sweden, Chall toured clinical sites at the local hospital in Kalmar to learn more about the similarities and differences in the way hospital laboratories are organized. The National Accrediting Agency for Clinical Laboratory Sciences (NAACLS) has granted the Medical Laboratory Science (MLS) program at Georgia Southern University Armstrong Campus continuing accreditation for 10 years. NAACLS is the premier international agency for accreditation and approval of education programs in the clinical laboratory sciences and related health professions. NAACLS accreditation recognizes education programs that meet established education standards in clinical laboratory science disciplines. The University’s MLS program is one of four accredited programs in the state. 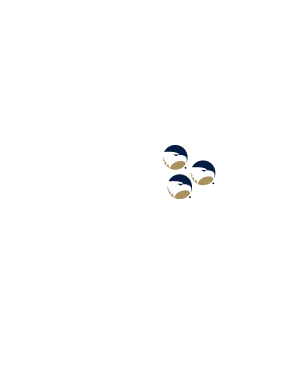 “The ASCP is the nationally accepted standard and is the one most sought after. Accreditation by NAACLS means that our program has met academic, professional and clinical standards appropriate for the laboratory profession,” stated Keith Belcher, Ph.D., MLS (ASCP) SM, professor and program director of the Medical Laboratory Science program. Students who graduate from a NAACLS accredited program are eligible to sit for the American Society for Clinical Pathology Board of Certification Exam (ASCP BOC) and those who do not graduate from a NAACLS accredited program are not eligible to sit for the ASCP BOC and must take an alternate route to be eligible to work. Students must pass ASCP BOC to be eligible to work as a medical laboratory scientist. Established in 1982, the MLS program is the largest in the state of Georgia in terms of graduating students and is housed in the Waters College of Health Professions. The program provides students with a high quality academic and professional environment that allows for the development of a student’s intellectual and manipulative competencies and attainment of professional values and characteristics.